Improve your vocabulary by learning different ways of thanking in the English language. You thank somebody when they have done something for you or given you something that you trully appreciate. 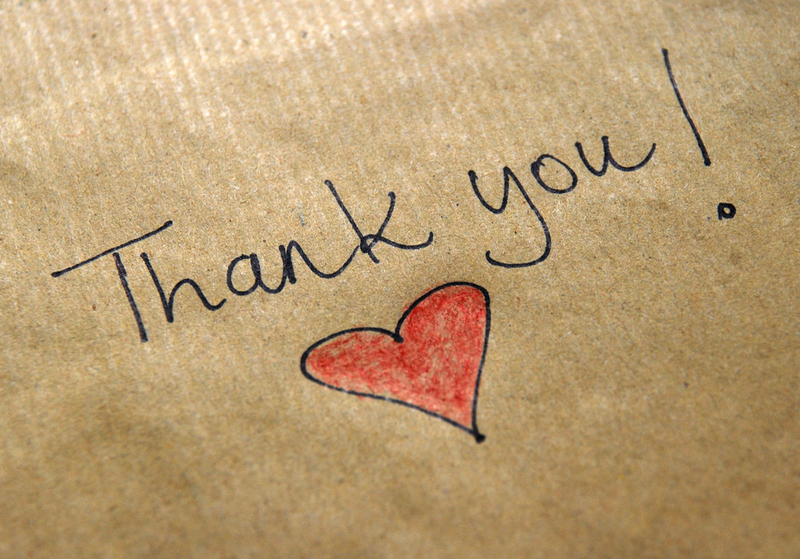 The English language distinguishes between informal and more formal ways of thanking. Thank you / Thanks for the delicious dinner. Thanks for helping me with my homework, Dad. Thank you very much for all your help. / Thank you so much for your help. A: I’ll call you tomorrow morning. B: Thanks very much indeed. Warning: You can say ‘Thanks a lot‘, but you can’t say ‘Thank you a lot‘. You also can’t say ‘Cheers very much‘ or ‘Cheers a lot‘. A: If you need me, just call me. B: That’s very kind of you. I can’t tell you how grateful I am for all your help. I want to thank you for your advice, Mr. President. I’d like to thank you for your hospitality, Mrs. Dion. Thank you for reading my book. I really appreciate it. Thank you for the present. It’s lovely! A: Here. This present is for you. B: Oh, honey, you shouldn’t have! A: How are you, my friend? B: Fine, thank you / thanks. A: David, did you have a nice weekend? B: Lovely, thank you. A: Thank you for carrying my shopping. B: You’re welcome. / No problem. A: Thank you very much for the lecture, Dr. James. B: It’s a pleasure. / My pleasure. / Pleasure. A: You’ve been very helpful. B: No problem. Any time. A: I’m immensely grateful for all your help. B: It was no trouble. / It was nothing. A: I’m enormously grateful for your kind words, Mr. President. B: Not at all.